“Think of your old pal sleeping on a waterproof sheet laid on cold wet clay, with all his clothes and overcoat on – both of which are sodden with clay – and covered with a soaking wet blanket.” Rifleman Frank Morley, Queen’s Westminster Rifles, 26 December 1914. “We had decided to give the Germans a Christmas present of three carols. We started the strains of “While Shepherds”. We finished that and paused preparatory to giving the second item on the programme. (a volley of rifle fire!) But lo! 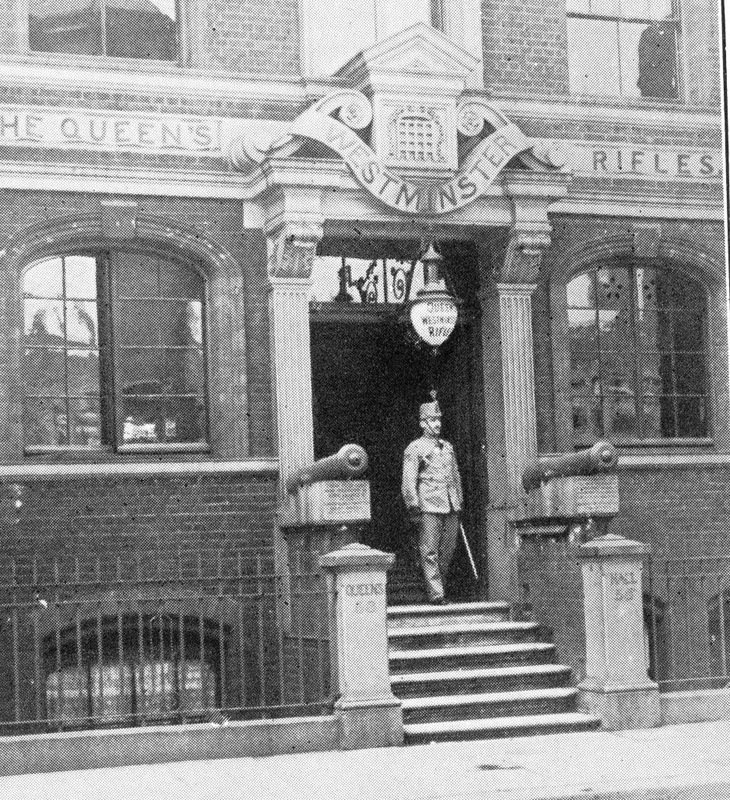 We heard answering strains arising from their lines!” Rifleman F. Morley Queen’s Westminster Rifles, letter December 26 1914. “You will be very much surprised to hear I had one of the best Christmas Days I have had for years. On Christmas Eve I went to the trenches and the Germans were singing carols to our men and we were singing to them. They then shouted to us, “A Merry Christmas, British comrades. You English are fine singers.” Rifleman E. E. Meadley, Queen’s Westminster Rifles, Letter in Northampton Daily Echo and Mercury, January 15 1915. 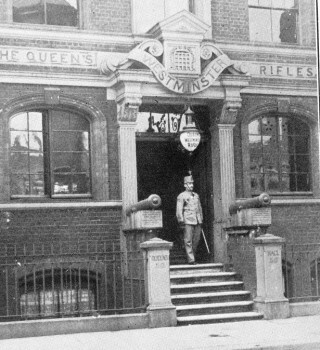 “A few hours before we were jolly careful to keep our heads below the parapet and now we were sitting on it, throwing cigarettes and tobacco to our enemies who wandered out into the middle of the lines.” Rifleman Ollis, Queen’s Westminster Rifles. Many of the Germans spoke English. Rifleman A.J. Philip struck up conversation in ‘No Man’s Land with a German Officer from Catford and elsewhere a German soldier, who’d lived in the Fulham Road, was keen to find out how Fulham had been getting on in the FA Cup. He was not the only German football fan. Rifleman William Eve described how the Westminsters played football in ‘No Man’s Land’, whilst on a different part of the Front that Christmas, a Lieutenant Johannes Niemann famously described how: ‘the Fritzes beat the Tommies by 3-2.’ Many of the battalions in the line had footballs with them, some sent by clubs like Chelsea, following requests from fans. At 7.30a.m. on Saturday, 1 July 1916, the Queen’s Westminsters stepped into No Man’s Land to face the massed machine guns and artillery of the German defenders. With no artillery support, General Haig’s plan was asking them to take the most heavily defended point on the entire Western Front. That they managed to capture some of the German trenches and hold them for 12 hours whilst being subjected to the heaviest bombardment anywhere on the Somme that day is nothing short of miraculous. Of the 750 officers and men who went over the top that day, 600 were killed wounded or missing. 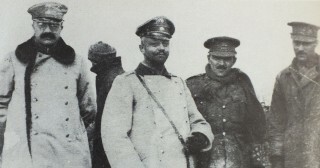 Two years before the men of the Westminster had met with German soldiers and swapped souvenirs during the Christmas truce. Now that same desire for souvenirs was to prove deadly. Rose remembered that in the first German dug out there were German helmets, which the men thought: ‘…would do nicely as souvenirs. But as they touched them they were blown up. The word soon got around after that when we came to a dugout, we didn’t ask who was down there-it was just “take that Fritz! With a hand grenade.’ The contrast with the Christmas truce could not be greater. I have the photos, letters and stories of Charles D. Waller in my possession. I bought them in a flea market in Torquay and was saddened that they wer “discarded”. I know he had a sister (WW1 nurse) but is there no further family to own these items. I will leave them in my will to the Imperial War Museum London. My father – Rfn. SYDNEY VICTOR WORLEY (B. 1892), joined the Queen’s Westminster Rifles in 1915 and served on the Somme where he was wounded and taken to a Field Hospital. He was later transferred to 15th Bn. Royal Irish Rifles – serving at Messines Ridge etc. He was discharged in 1918 suffering from ‘severe neurasthenia; and sent to the – the hutted – Maudesley Hospital in Camberwell – ‘half mad’! He never mentioned his war service and had no further interest in his TA Regiment. That said, his discharge papers say, “This man served his Country well”. As a child, I remember Col Johnston as the Queen’s Printer. My fhater called him Bap, and he gave us children educational materials, things like a jigsaw puzzle with every piece being a county in Ontario.